Well, another year has come and gone. We now find ourselves in a new year. What are we going to do with this amazing gift of another year? That is the question that we all start thinking about come this time of year. So as I ponder this question, I wonder what the new year has in store for us. What do I want the new year to bring? What do I plan to make the most of? How can I make my plans become reality? So many questions can start to overwhelm me, and maybe even you. Sure the easy thing to say would be that it is time to start breaking down all these questions into manageable steps. I have done that in the past, and even talked about it in my post New Year’s Resolutions or Not. However, there is one Bible verse that has stuck out in my mind this year, to help me calm the waters of overwhelm. I like it so much I updated my personal Facebook page cover with this verse as a reminder. I have added the photo I created to our Faithfilled Chaos’s Facebook page, under photos, freebies, for you to use for your own Facebook page. As soon as reading this verse, and hearing it in my head a lot of the ideas of what I would love to plan to work on just seem to fade away into the background. What I mean by that, is as I look at the year ahead and think of what I would love to do, I can pair it up with what I feel God would want me to do. If what I want to do does not line up with giving God the glory than either it just isn’t the time for that idea, or it just isn’t something that I should be focusing on at all. Maybe the idea is more of a selfish matter than a God matter. Remembering that I am here for a purpose and that purpose is to glorify God, how should my actions reflect that fact? Others should be able to look at what I am trying to do and see that I am working for God in some way. Ok, maybe not completely obvious to see, because God is who we are working for, not others. What do I mean by that? Let’s take the goal of becoming a better mother as an example. If I am a better mother, than my kids will have a better upbringing and ultimately grow closer to God. My kids growing closer to God will glorify God. So even though others on the outside of our family may not see that my new year’s goal glorifies God, I know it will, but more importantly GOD knows it will. Others however will be able to see a positive change in not only me, but my family which will ultimately reflect God to others. I guess that seems a bit confusing as I re-read it. Realistically, think of what you want to do and see if it lines up with what God might have planned for you. If it does, than by all means make it your New Year’s goal. If not, pray about it while keeping it on the back burner. With that being said, I thought I would share with you what my New Year’s goal is. This year I have been blessed enough to be chosen to take part in the Homeschool Review Crew. What does that mean? Well, it means that as a family we get the privilege to receive and review a lot of different homeschool related materials. All those reviews will be showing up here, just like our most recent review on SchoolhouseTeachers, that went live this week. 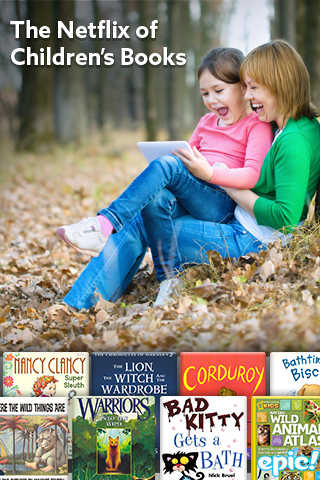 For you that means a place to come read about and see some new homeschool materials that just might work for your family. When I can, it also means a discount for you to purchase those items cheaper just for sticking around and reading our review. So my main goal this year is to be consistent with this blog. Not just for me, but for you as well. Having motivation always helps, so thanks for that! I started this blog because I truly believe that God has a plan to use this blog to help encourage other moms, some who might be in the same boat of homeschooling ADHD or dyslexic kiddos. Besides, blogging seems to have grown into a passion of mine that helps me to think through what is going on in my life, relieving some stress. A nice little perk for following through with what God had planned for me. Who knew that a hyper, ADHD, dyslexic kiddo would grow up to love writing. This is the year for this blog to thrive and that all starts with my being consistent. Something this ADHD Mom can struggle with. However, I know that God is guiding me. He ultimately will get all the glory for this blog’s success. So how do I plan to be consistent? Pray! I am so not great at consistency. However, with God all things are possible. By asking him for help I am already 10 steps ahead in sticking with this goal. Just like a “real” 9 to 5 job, I need to be at work to get work done. So I will be actively setting aside time each day to devote to blogging. Post to this blog a minimum of once a week. Stay active on social media daily. Engage with other bloggers, teaming up, to bring you more great content. Challenge our homeschool with new products to review and share the truth about how they may or may not work, for you, here. Create more great freebies for you all to enjoy. So, here’s to a great 2017. Whatever your goals for this year, I pray that they are all to glorify God. Is there something you would like to see here at Faithfilled Chaos this year? Comment below and I just might be able to make it happen. Want to read what some other Homeschool Review Crew members have to say about their goals for the New Year? Click the photo below to be taken to them. What terrific advice! Wishing you a blessed 2017! Thanks Amy. Same to you and yours! what kind of freebies are you hoping to create?